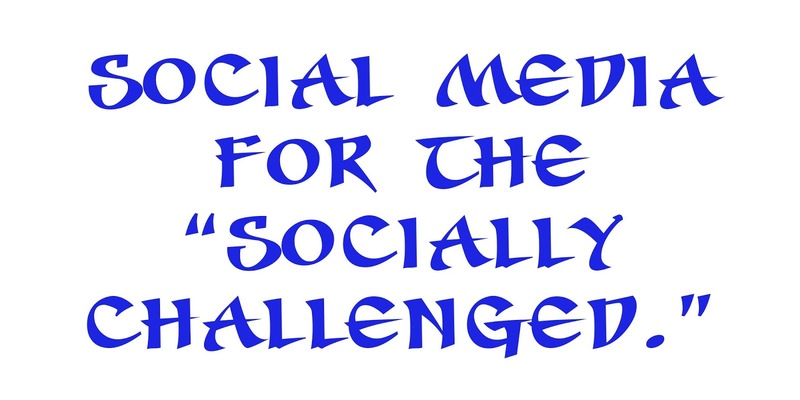 Can the socially challenged succeed in social media? Yeah, yeah, I'm sure you've seen many times the need to adopt to and learn social media in order to succeed in this new online world. Now, for some people that's obviously as easily said as done… or easier! But for those of us who, in real life, or online, or both, are socially challenged, is it possible for one of us to succeed in social media? For those who are are successful socially, whatever the context, they often act as if this is the most natural thing in the world, Not just for them, but for everybody. For those of us at the other end of the spectrum, those of us who are the "strong, silent" types; the SST's, it's often painfully obvious that this is not true. Sometimes it's just plain introversion. Other times it's learned life lessons or painful events that makes one socially challenged. So, what's holding you back? Everybody has different reasons, but for me, I grew up in a family where children "should be seen and not heard." (I see a few heads shaking in agreement there.) And being one of nine kids, it would have been hard to be heard anyway. Before it was clear that I had a speech problem, my mother often had difficulty understanding what I was saying, and would go to my older sister for a "translation." Not long after that, I started speech therapy. Then at the age of 7, I had a tonsillectomy, followed by complications that added to my speech woes. On and off for the next 9 years, I had numerous additional speech therapy sessions, which didn't do much to help me belief that communicating was something I wanted to do or was even worth doing. And because that wasn't enough, I had my own personal bully in the seventh grade, who picked on me because I "talked funny." And since he was having so much fun and other kids noticed, they wanted in on the "fun" too. So I had my reasons to be socially challenged, and I've claimed them as my own and I've lived them ever since.